Prickett's Nursery was a Sewell, NJ institution for over 125 years. SEWELL, NEW JERSEY, UNITED STATES, August 24, 2018 /EINPresswire.com/ — Vert Properties, Inc. won the bid for Prickett Nursery and Garden Center in Mantua, New Jersey. The company was represented in this transaction by Frank A. Lauletta of the law firm Lauletta Birnbaum. 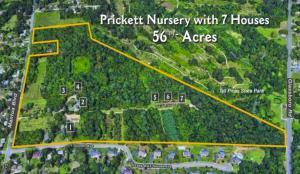 The 56-acre property has been owned and operated as a nursery by the Prickett Family since 1876. Prickett Nursery’s roots are traced to two Irish immigrant brothers Joseph and John McCleary, who built a house on the Mantua Boulevard property, and launched a business. Conveniently located just a mile from Route 55, the property has road frontage on Mantua Boulevard, E. Sussex Avenue, and Woodbury/Glassboro Road. Seven homes also sit on the large plot of land. Prickett's Nursery was a Sewell, NJ institution for over 125 years, but it closed when the prior owner Edward Smith Prickett died in December 2015 at age 80. He had sworn to work at the nursery until the day he died, and he nearly accomplished his goal. Vert Properties, headquartered just down the street at 591 Mantua Boulevard, does not have current plans to develop the property. The nursery will simply add to Vert’s growing portfolio of properties, which spans from Southern New Jersey to Center City, Philadelphia. Vert Properties, Inc. is a privately-held real estate leasing, development, and management firm headquartered in Sewell, New Jersey. 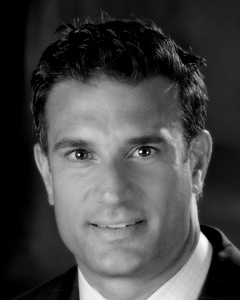 Vert’s business is focused in the Philadelphia and Southern New Jersey markets. In Philadelphia, their focus is residential properties and apartments in highly desirable neighborhoods like Center City, the Art Museum, and Northern Liberties. In New Jersey, Vert Properties takes a broader approach by developing and managing office, retail, and warehouse properties in addition to traditional residential properties. Lauletta Birnbaum provides a range of corporate, transactional, intellectual property, and litigation services to companies throughout the country in various industries from real estate acquisitions and sales, development and leasing to software, data, and other high-tech industries. Designed to maximize flexibility and value in this challenging business climate, the firm offers real-world business strategy and legal expertise, often serving as outside general counsel to its clients. To learn more, visit lauletta.com.